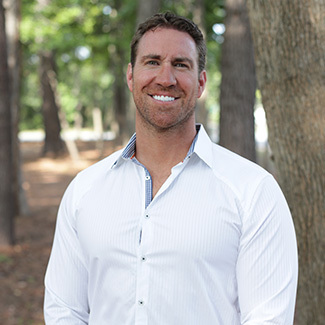 With his mind made up about his future, Dr. Murrin decided to go to medical school before encountering chiropractic and transforming his life. An active athlete, he played basketball and was injured. With a ruptured disc and a herniated disc, the surgeons said he’d need surgery and a wheelchair and wouldn’t run or play basketball again. Fortunately, a teammate who was a chiropractic patient told Dr. Murrin that there might be another way. Though Dr. Murrin felt unsure, he went to the chiropractor as a last resort. He placed his trust in this natural health practitioner and was rewarded with incredible results. “I could run again and return to class after being bedridden for three months. Then, I saw improvement with my chronic ear infections, migraines and strep throat infections.” After years of accepting that the stressful times around midterms and finals would mean being sick for weeks, he finally understood what it meant to be well. Already prepared with a Bachelor of Science in Kinesiology from the University of New Brunswick, Dr. Murrin attended Palmer College of Chiropractic in Davenport, Iowa. He also holds a master’s degree in Exercise Science and served as a professor in Exercise Physiology during his master’s program. There, he had the honor of being nominated for the Dr. Allan P. Stuart Award for Excellence in Teaching. During his years at Palmer, Dr. Murrin received numerous accolades. He was named a Presidential Scholar for his high grade point average, was president of the international chiropractic honor society Pi Tau Delta, was an honor student every term, on the President’s Honor List and served on the Sports Council. He also had the privilege of going on a mission trip to Cochabamba, Bolivia, bringing chiropractic care to the underserved. With a full-body approach to health, Dr. Murrin puts his years of education and expertise at the disposal of each of his patients. He is a Professional Fitness and Lifestyle Consultant (PFLC), which is the highest level of Personal Trainer in North America; a Certified Fitness Consultant (CFC) and Certified Exercise Physiologist (CEP). With these qualifications, he can make recommendations for simple changes to your diet and exercise routine that can make an incredible impact on your total wellness. In Dr. Murrin’s spare time, he loves riding his Harley, working out, boating, going to the beach, and spending time with his friends. With a belief that knowledge is power, he attends many seminars each year to learn more. He also returns home to Newfoundland whenever he can. To give back, Dr. Murrin supports Lowcountry Orphan Relief and is a member of The Mount Pleasant Business Association. To find out more about what Dr. Murrin may be able to do for you, contact our office today!